The Maputaland Coastal Plain is situated in north-eastern KwaZulu-Natal Province, South Africa. The Maputaland Coastal Plain and underlying aquifer are two separate but interlinked entities. This area with high permeable cover sands, low relief and regional geology that slopes towards the Indian Ocean, and hosts a variety of important wetlands in South Africa (66% of the recorded peatlands). These wetlands overlay and in some cases connect to the underlying regional water-table. The apparent distribution of wetlands varies in response to periods of water surplus or drought, and over the long-term has been reduced by resource (e.g agriculture, forestry) and infrastructure (example given; urbanisation) development. In 2008 (a dry year) the smaller wetland extent (7%) could primarily identify “permanent” groundwater-fed wetland systems, whereas for the wet year (2000) with larger wetland extent (18%) both “temporary” and “permanent” wetlands were indicated. Comparison between both dry years (1992 and 2008) indicates an 11% decrease in wetland (sedge/moist grassland) and a 7% increase in grassland distribution over time. Some areas that appear to be grassland in the dry years were actually temporary wetland, based on the larger wetland extent (16%) in 2000. The 2008 Landsat Thematic Mapper (TM) dataset classification for the entire Maputaland Coastal Plain gave an overall 80% mapping accuracy. Landscape settings identified on this coastal aquifer dominated by dune formations consist of three types: plain (upland and lowland), slope and valley floor. Although the wetland character is related to regional and local hydrogeology as well as climate affecting the temporal and spatial variability of the wetlands this research confirms that the patterns and wetland form and function are predominantly shaped by the hydrogeomorphic setting and not the rainfall distribution. The following wetland types were identified: permanent wetlands such as peat swamp forests, peat reed and sedge fens; temporary wetland systems such as perched depressions, and sedge/moist grasslands. The Hydrogeomorphic wetland classification system was applied using a semi-automated method that was 81% accurate. The following hydrogeomorphic units could be identified: one floodplain, i.e., Siyadla River Floodplain, channelled valley-bottoms, unchannelled valley-bottoms, depressions on modal slope values (less than 1%) seepage wetlands on modal slope values 1% to 2%. However, evaluation of the hydrogeomorphic classification application results suggests that the “flat” hydrogeomorphic class be revised. It did not fit meaningfully on the upland plain area. This research finding concludes wetland function does depend on landscape setting and wetland function is not truly captured by the hydrogeomorphic type classification. Not all depression on the coastal plain function the same way and three types of depressions occurs and function differently, i.e., perched depression with no link to the regional water-table vs. depressions that are linked with the regional water-table on plain, slope and valley floor landscape settings. 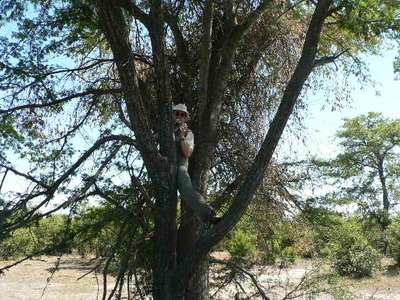 Overall, this research study made a useful contribution in characterising and classifying wetland type and distribution for a high priority wetland conservation area in South Africa. 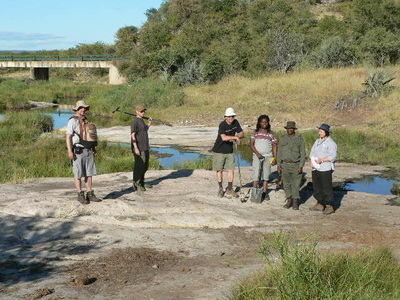 Applying similar methods to the broader Maputaland Coastal Plain will particularly benefit from the research findings. The importance of using imagery acquired in wet and dry periods as well as summer and winter for a more comprehensive wetland inventory of the study area, is stressed. To manage the effects of climate variability and development pressure, informed land-use planning and rehabilitation strategies are required based on landscape analysis and interpretation. 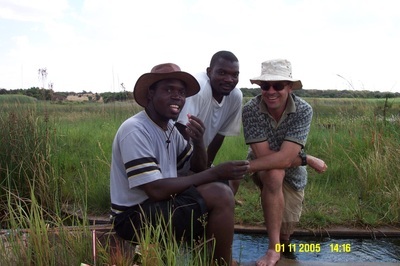 Peatlands are a rare and unique feature in the South African landscape. The Greater St. Lucia Wetland Park is, as part of Maputaland which contains more than 60% of South Africa’s peatlands, one of the most extensive peatland eco-regions in South Africa. The inferred in situ peat resource for the Greater St. Lucia Wetland Park amounts to 171 419 000 m3 and the total peatland area has been determined as 9 680 ha, more than half of Maputaland’s peatlands. From this a fixed carbon content of 7 063 200 t has been calculated for the Greater St. Lucia Wetland Park. The organic-rich mineral soils of the remainder of the Park’s wetlands cover between 31 800-39 800 ha and contain some 7 160 000 t of carbon. Two unique fens are related to Lake St. Lucia: The Mkuze fen, which is part of the Mkuze Delta, and is situated just north of Lake St. Lucia, is the largest peatland in South Africa and the Mfabeni fen is the thickest peatland (ten meters) and also the oldest (45,000 year) in South Africa. Clulow, A.D., Everson, C.S., Mengistu, M.G., Price, J.S., Nickless, A., and Jewitt, G.P.W. : Extending periodic eddy covariance latent heat fluxes through tree sapflow measurements to estimate long-term total evaporation in a peat swamp forest, Hydrol. Earth Syst. Sci. Discuss., 11, 13607-13661, doi:10.5194/hessd-11-13607-2014, 2014. Grundling, A.T., Van den Berg, E.C. and Price, J.S. 2013. Assessing the distribution of wetlands over wet and dry periods and land-use change on the Maputaland Coastal Plain, north-eastern KwaZulu-Natal, South Africa. South African Journal of Geomatics 2: 120-139. Clulow, A.D., Everson, C.S., Mengistu, M.G., Jarmain, C., Jewitt, G.P.W., Price, J.S., and Grundling, P-L., 2012. 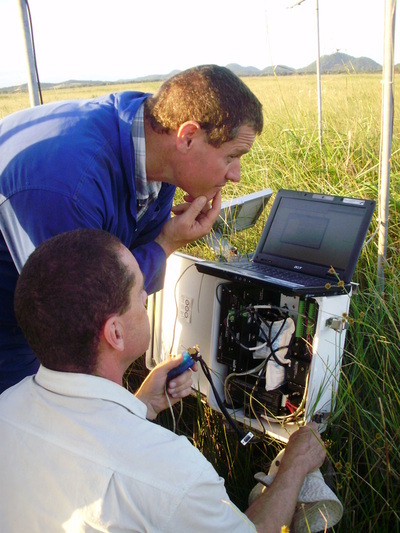 Measurement and modelling of evaporation from a coastal wetland in Maputaland, South Africa. Hydrology and Earth System Sciences, 16(9), 3233.